Excellent form of winter flowering Lcd. salignum. 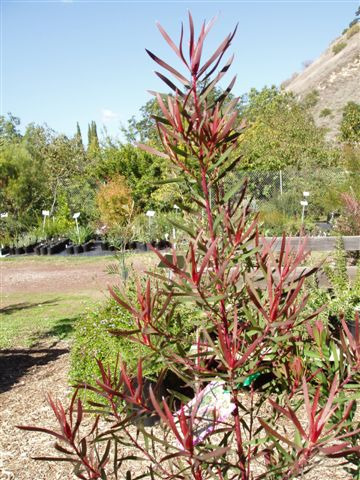 Large shrub 10'x7' with green leaves tinged deep red on red stems. Tolerant of most well-drained soil types and conditions. Fast growing. Excellent cut foliage, screen and windbreak. Grows well inland and coastal but colors are superior on the coast.